The world's fastest land animal is heading towards extinction and “urgent, landscape-wide conservation action” needs to be taken, according to a study published in a journal Proceedings of the National Academy of Sciences. 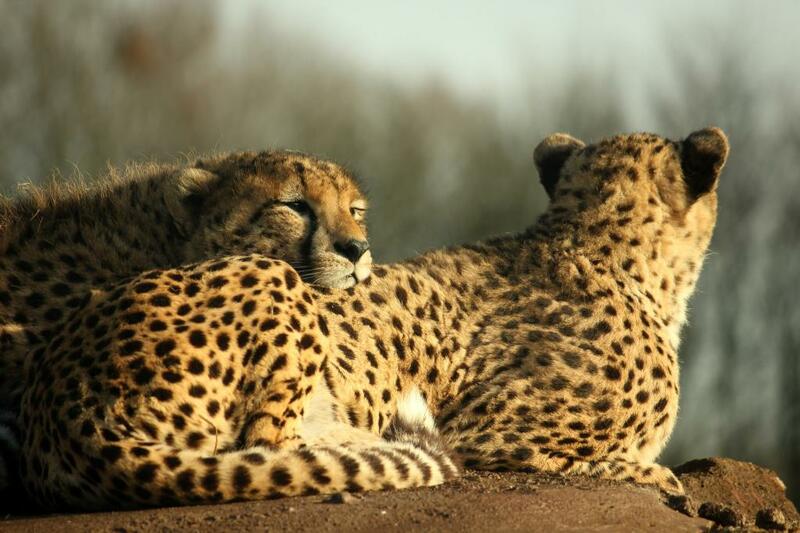 The research led by the Zoological Society of London (ZSL) and Wildlife Conservation Society (WCS) revealed that just 7,100 cheetahs remain in the wild, occupying just nine per cent of the territory they once lived in. Asiatic cheetah populations have been the hardest hit, with less than 50 remaining in an isolated pocket of Iran. Moreover, cheetah numbers have declined by 85 per cent in Zimbabwe (from 1,200 to 170) in about 16 years. Calling it the most comprehensive analysis of cheetah status to date, Sarah Durant, the lead author of the research said, “Given the secretive nature of this elusive cat, it has been difficult to gather hard information on the species, leading to its plight being overlooked. Our findings show that the large space requirements for cheetah, coupled with the complex range of threats faced by the species in the wild, mean that it is likely to be much more vulnerable to extinction than was previously thought." What makes matters worse is the fact that 77 per cent of the cheetah's habitat falls outside of protected areas. As cheetahs require large land areas to prosper and have wide-ranging movements, they are vulnerable to increasing threats outside designated protected areas. Even within guarded reserves and national parks, cheetahs face the threats of human-wildlife conflict and prey loss due to overhunting by people. Illegal trafficking of cheetah parts and trade as exotic pets is equally to be blamed for driving this majestic cat to the edge of extinction. While the recent decisions made at the CITES CoP17 meeting in Johannesburg are a considerable breakthrough in curbing illegal flow of live cats trafficked out of Africa, reversing the ongoing declines will call for a concerted effort. The authors of the study are calling for upgrading cheetah from 'Vulnerable' to 'Endangered' on the IUCN Red List of Threatened Species. When an animal is classified as ‘Endangered’, it receives greater international conservation support. According to Panthera's Cheetah Program Director, Kim Young-Overton, securing protected areas alone is not enough. He recommends “conserving across the mosaic of protected and unprotected landscapes that these far-ranging cats inhabit". Scientists also propose landscape-level efforts beyond national borders and bringing out incentive programmes for protection of cheetahs. Reintroducing the cheetah in India’s grassland – glamour or conservation?